A monument marks the location of Tracy School, which was organized in April 1900. 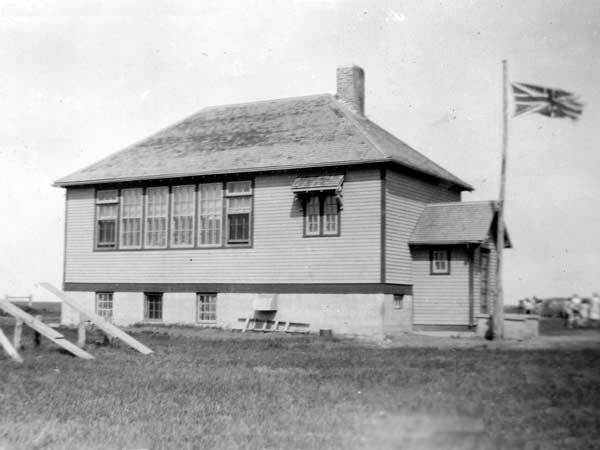 A one-room schoolhouse was constructed at the southwest corner of SE5-8-4W in the Rural Municipality of Grey. 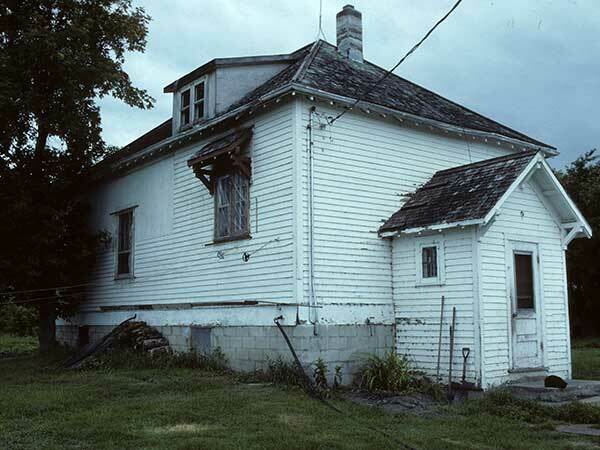 Sometime before 1921, the building was moved to the northeast corner of NW33-7-4W in the Rural Municipality of Dufferin. 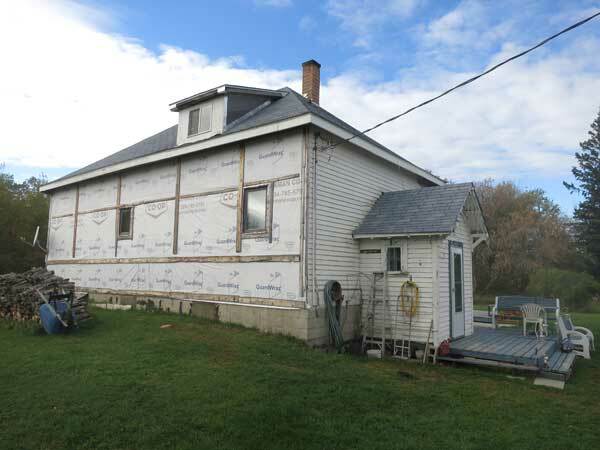 A new structure was built in 1925, complete with full basement, furnace, and indoor toilets. The former school building was moved to Elm Creek where it was used as a private residence. The new school was used until it closed permanently in 1961 and the following year the building was moved to NW13-8-6W (about N49.66461, W98.15000) where it was renovated into a private residence. 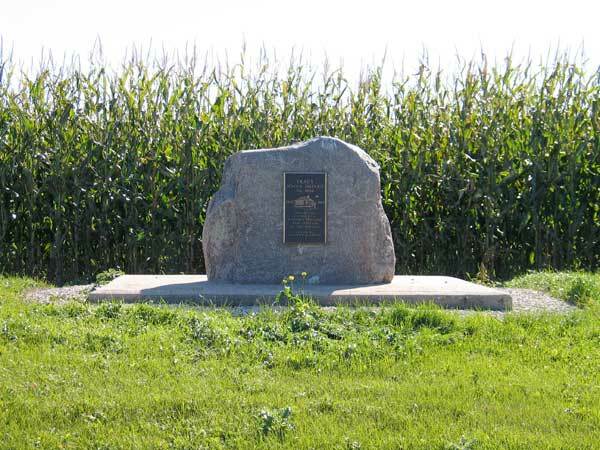 The monument, located along an ungravelled road, was erected at the former school site in 1992, for the Elm Creek centennial year, and dedicated to the pioneers, teachers, and students of Tracy School District. Among the teachers of Garnett School were S. M. Lougheed (1922-1923), Alice M. Gray (1923), Gertrude B. Brown (1924), Leila M. Copeland (1924-1927), Jean Bowles (1927-1929), Mary Evelyn Pritchard (1929-1930), Dora Vincent (1930-1932), Beulah Patricia Park (1932-1933), Kathleen Hewson Smith (1933-1936), Lorraine Cameron Rodgers (1936-1937), Constance Margaret Webster (1937-1938), Ethel May Edwards (1938-1939), Margaret Helen Martin (1939-1941), Sadie Elizabeth Sanderson (1941-1942), Kathleen Hewson Smith Malmquist (1942-1943), Ethel Mary McInnis (1943-1944), Peter Lewco (1944), Therese Germaine Cote (1945), Claire Rita Bouchard (1945-1946), Evelyn Mary Carmichael Leask (1946-1947), Helen Jean Pumputis (1947-1948), Elizabeth May “Betty” Anderson (1948-1949), Ruth Elizabeth Rempel (1949-1950), ? (1950-1951), Katherine Hamm (1950), Arthur Clark (1951), Bernice Irene Houde (1951), Hilda Dyck (1952-1953), Gladys M. Alsop (1953-1954), Dorothy E. Fischer (1954), Anne Watt (1954-1955), Rose-Marie Barton (1955-1956), Bernice Mae Baker (1956-1958), Margaret Rose-Marie Lesperance (1959), Donna B. Swanton (1959-1960), and Ides Edel Grapatin (1960-1961). GR8461, A0233, C131-2, page 50. Source: Historic Resources Branch, Public School Buildings Inventory, slide 329. Manitoba School Records Collection, Tracy School District No. 1066 - Daily Registers, GR2085, Archives of Manitoba. Manitoba School Records Collection, Tracy School District No. 1066 - Cash Book, GR7164, Archives of Manitoba.